Tutors in Algebra 1, Algebra 2, Geometry, Pre-Calculus, Calculus, Biology (All Levels), Chemistry (Regular, Honors, & AP), Environmental Science (All Levels), and SAT/ACT Math and Science. Kristen first discovered her passion for tutoring as a graduate teaching assistant while working towards her Master’s degree at the University of South Florida. As teaching and tutoring became a more prevalent presence in her path, she found that helping students gain confidence and knowledge to do their best in school was a passion that she wasn’t acutely aware of before. 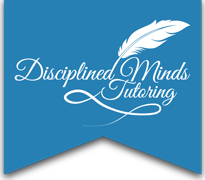 Therefore when the opportunity to help students through tutoring was presented by Disciplined Minds, she took advantage of the opportunity. Kristen believes that application of concepts is different for every student and instruction must be adjusted in return. Encouraging student’s critical thinking and application skills through questions that bring them to the answer themselves, enhances student’s ability to apply the concepts both in and out of the classroom. She believes that every student has the ability to succeed when given the appropriate tools and guidance. Having experience both teaching and pursuing a Master’s degree, Kristen knows the skills, dedication, and passion required to succeed at any level.